Indian milk brand Amul, Gujarat Cooperative Milk Marketing Federation (GCMMF), is sponsoring the Indian contingent at the London 2012 Olympic Games, promoting milk as nature’s original energy drink chosen by athletes to build their bodies and minds. 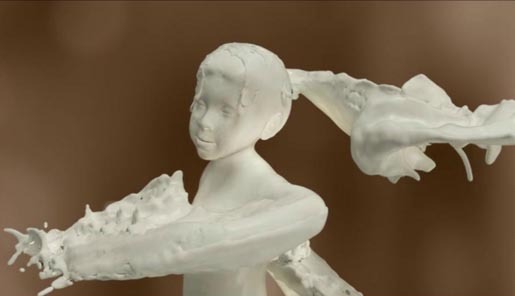 The connection is being promoted in an animated television commercial in which a girl made of milk performs a variety of Olympic sports. The Amul Olympics campaign was developed at DraftFCB Ulka, Mumbai, by national creative director KS ‘Chax’ Chakravarthy, chief creative officer Nitin Karkare, creative team Haresh Moorjani and Mehul Patil, client service team Ruta Patel, Rohan Patil, Ruchi Agrawal, account planners Vidyadhar Wabgaonkar, Mubina Quraisshi, agency producers Alpa Jobalia, Stanley Christian and Ganesh Iyer. Animation was produced at Famous House of Animation by director Jayant Hadke.